This beautifully stunning day started in the Trastevere quarter. 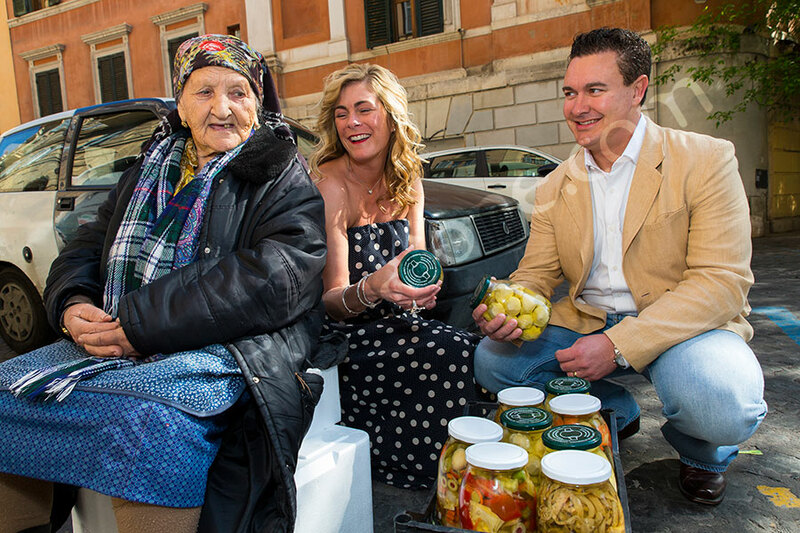 I ran into this old lady selling artichokes on the street as I was walking to meet Tom and Robin for the photographer session. We had to include her in the photo shoot as this was such a wonderful scene from the past. We then hopped in the car and headed to the Accademia di Spagna where we photographed in around the cloister. Such beautiful renaissance architecture. The Gianicolo water fountain was just around the corner with a beautiful sweeping view of the city of Rome and crystalline blue water recalling the colors of the Mediterranean sea. This was our next stop before heading to Piazza del Campidoglio with a stunning view over the Roman Forum and an interesting array of columns and stairs. 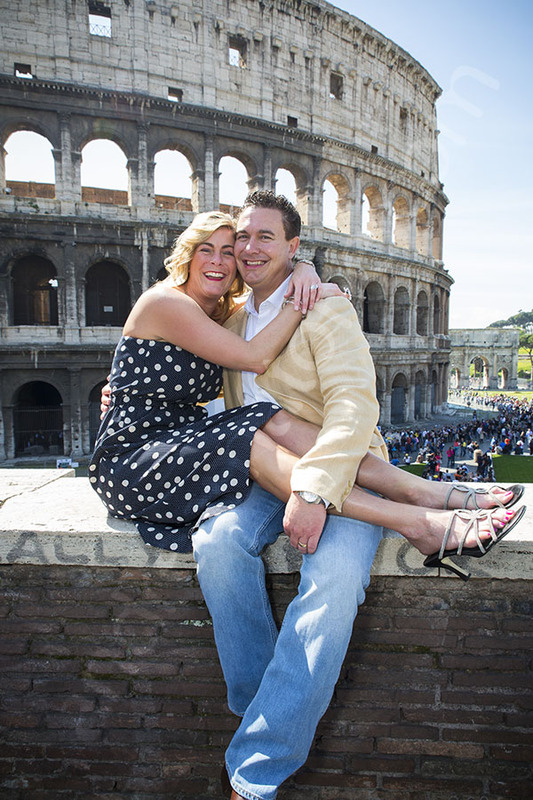 On our way to the Roman Coliseum we ran into a yellow Fiat Cinquecento which made for a great picture. Thank you so much and all the best to you! 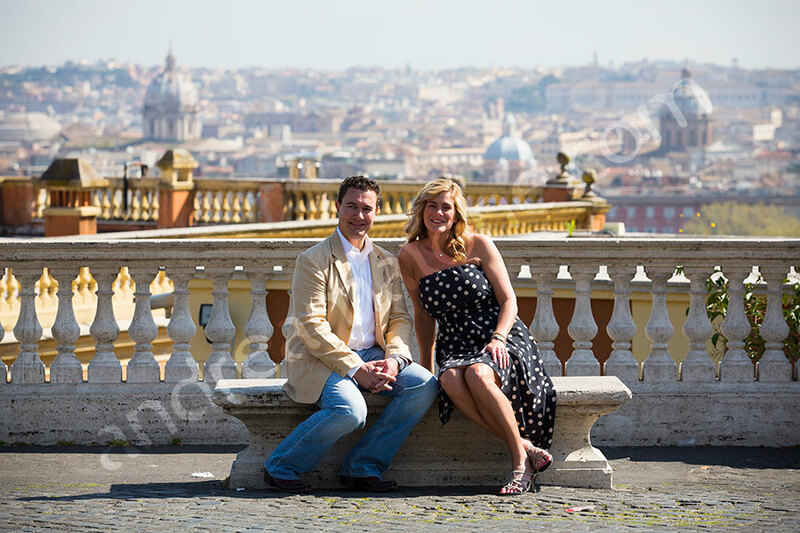 View this page for more engagement like sessions in Rome. 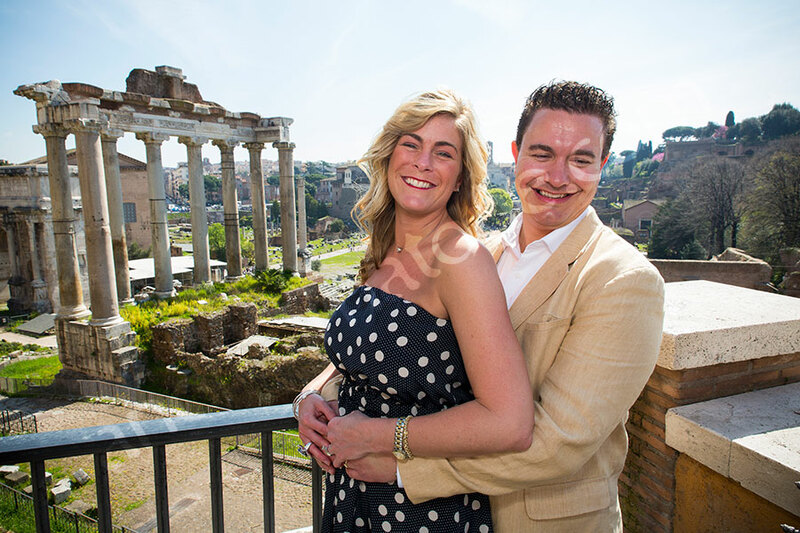 A beautiful anniversary celebrated with a photo tour photographed by wedding photographer Andrea Matone. 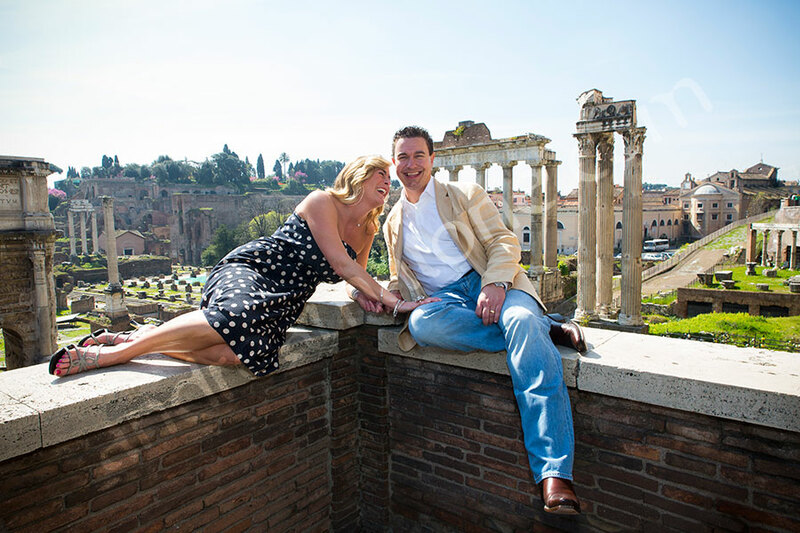 A fantastic way to visit the city of Rome in Italy. Beautiful couple looking like they don’t have a care in the world and are very much in love and enjoy each other….Life is Good…..These pictures are great….